Picks From Around the Blogosphere in Five Family Friendly Categories! We hope you enjoy these great posts from favorite blogs in 2014! Below are five picks from five family-friendly categories. Enjoy! I love this epic list of 95 Ways to Show Your Child Love from Busy Being Blessed! My Joy Filled Life‘s, Tips for Laying Your Homeschool Foundation really spoke to the stage my little family is in. Accidentally Green has a great post about Creating A Baby-Safe World that lists some great resources, along with answers to common questions. Why I Homeschool in the Afternoon from Sallie Borrink Learning is a short post that reminds moms it’s okay to homeschool in your own way. Mandi delivers good food for thought with her post Learning to Fight (and Why We Argue in Front of our Kids) on her blog Life Your Way. Bible Money Matters scored a place on our list for their post about 5 Types of Financial Resources for Stay-At-Home Moms. A really hip blog, Luke 1428, won a spot with a celebratory post that shared Top 10 Proverbs About Money. Julie, from Wise Bread, hit on a topic more and more of us are interested in with 4 Cheap, Easy Ways to Invest your first $1,000. Kendra, from A Proverbs 31 Wife, hit on a favorite topic of mine with 15 Rewards Programs that Every Mom Should Know About. A quick read from Jason of the Sparrow Fund, The Beauty and Brokenness of Foster Care, is a true thought that we all should absorb. Y’all know Abby already, from Making Room 4 One More. We loved her post on 8 Adoption Fundraiser Ideas. Touching on a tough facet of infertility, Our Not So Engineered Life shared the tender-hearted post, Should We Tell Our Secret? Adoption.com shared a post that tore my heart up big time – the hard-to-read (because it’s true) – The Forgotten: Aging Out of the Foster Care System. Lauren, of Mercy Ink, shared what I think will become a long time favorite post, Hope for the Wait: Bible Verses for Waiting Adoptive Parents. A perfect post in time for Valentine’s Day, Heat Up Your Marriage + Free Printables, from A Virtuous Woman is a fun post! Loved this Q&A style post from Shaunti Feldhan’s blog about Being All In. Can’t stress enough how true this is! Kaylene, from Faithful Feat, is a favorite blogger and her post 5 Ways to Protect Your Husband’s Heart is at the top of my list. A marriage post from a man’s perspective, Why Romance is Dangerous Business…For Husbands from the Time Warp Wife is worth a read! I loved, loved, loved Crosswalk’s post, How to Be a “Wow” Wife! I really enjoyed Richly Rooted‘s post, How To Meal Plan When You Don’t Have Time. To Love, Honor, and Vacuum shared a great post for SAHM’s, 10 Ways to Banish the Stay-At-Home-Mom Blues. A round-up style post, 45 Real Food Slow Cooker Meals is a great read for busy moms interested in real food, from Keeper of the Home. Another favorite blogger, Jami from Young Wife’s Guide, shared Setting the Atmosphere in the Home for God’s Glory. It’s a must read! The Humbled Homemaker shared a great post with 5 Healthy Habits for Moms. Did you have a favorite blog post from 2014? Something that made a huge impact on you? Use the comments below to share with us! Thanks so much for including Accidentally Green in your favorite parenting posts! Hilary, thanks for putting that Baby-Safe World post together. I think I’ve made it through most of the links now. I’ve loved a lot of your posts; thanks for all you do! 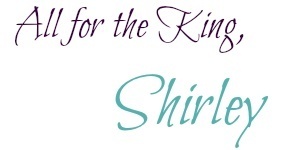 Thanks for the mention Shirley! Looks like a great list of reads! Your welcome. Thank you for all the awesome posts at ChristianPF! I’ve been following for years, and a ton of your articles have really helped me! Thanks so much for sharing my post on healthy habits for busy moms! I’m honored! Happy New Year! Thanks so much for sharing my adoption post! Of course Abby. Your list was great – and I wanted to share it with anyone beginning the adoption process! Jenn! Happy new year to you as well! How am I just now seeing this? THANK YOU for your kind words & mentioning 5 Ways to Protect your husband’s Heart.